Nicholas works under the Health Challenges & Systems research program. He holds a Bachelors degree in Medical Microbiology (2008) and a Master of Science (Public Health) degree (2010) both obtained from Jomo Kenyatta University of Agriculture and Technology (JKUAT). 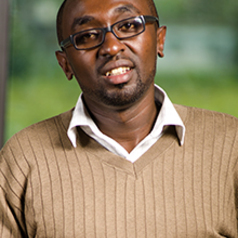 Nicholas joined APHRC in August 2012 prior to which he worked as a research consultant at Denipub Health Research Consultants and a lecturer at Kenyatta University, School of Public Health. Nicholas is driven by his passion for research and his commitment to ensuring evidence-derived policy for health. His research interests are in the fields of maternal,newborn and child health, and the epidemiology of neglected emerging and re- emerging communicable & non-communicable lifestyle-related diseases.